Simisola is out! – Royal Times of Nigeria. 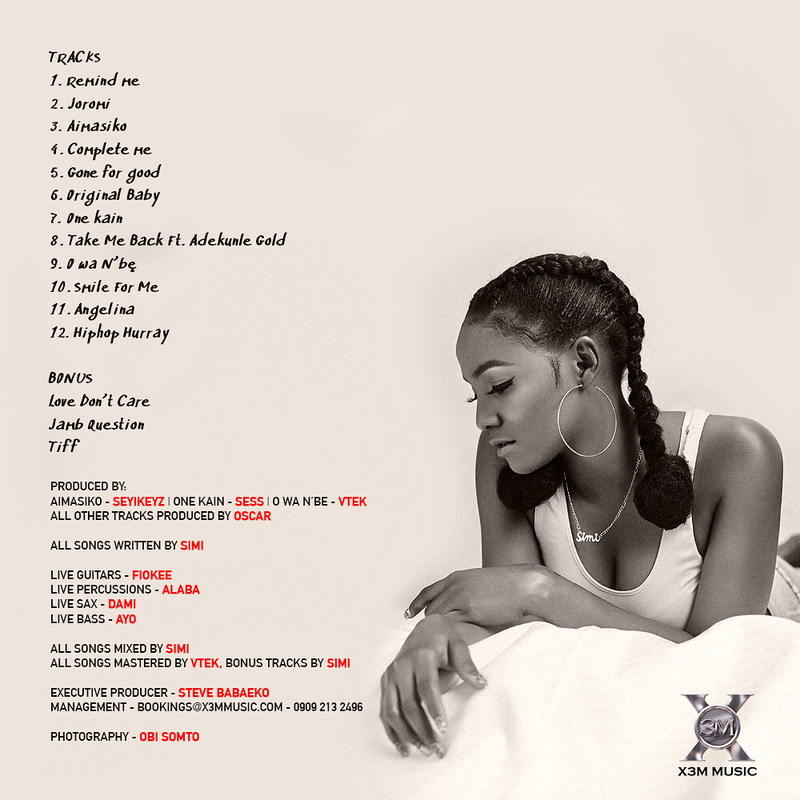 Simi’s debut and eponymous album was released yesterday. The x3M artiste features only Adekunle Gold on the album and has three bonus tracks: Love Don’t Care, Jamb Question and Tiff. The 12-track album was mostly produced by Oscar with a few other tracks produced by Sess, Vtek and Seyikeys.